The Charity Commission has appointed Emma Moody to the role of interim manager at Mohiuddin Trust (1105585), a charity with objects to relieve poverty and advance education and training for the public benefit. The appointment was made due to continued concerns over the management of the charity. Interim managers are appointed to take over the running of a charity where the Commission has identified misconduct or mismanagement, or there is a need to protect the charity’s property. The Commission opened a statutory inquiry into Mohiuddin Trust on 5 December 2018 to examine concerns over potential misconduct and mismanagement at the charity. This includes a serious ongoing dispute at the charity and questions about whether those in control of the charity have fulfilled their legal obligations in managing the charity. Sufficient progress to resolve the dispute has not been made, which continues to impact the day-to-day running of the charity. The Commission therefore exercised its legal powers to appoint an interim manager to the charity on 25 March 2019. Emma Moody of Womble Bond Dickinson (UK) LLP takes on full control of the administration and management of the charity until the Commission makes a further order. She will have all the powers and duties of a trustee to the exclusion of anyone purporting to be a trustee of the charity. Her duties will include restoring the charity’s governance and ensuring the proper management and administration of the charity. 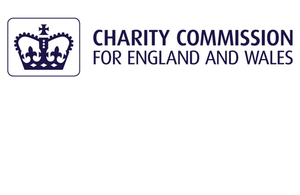 Section 76(3)(g) of the Charities Act 2011 gives the Commission power to appoint interim managers to a charity. The appointment of an interim manager is a temporary and protective measure.